Appolonia had been the port for the ancient city of Cyrene. You can see the Mediterranean in the background. 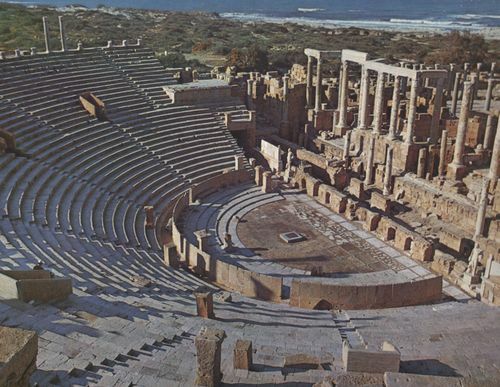 The ruins of this theater at this city were one of the most complete structures in the area. We were almost always alone in our wanderings, and had fun taking turns orating while the rest of the group served as our audience.